2018 with Rose Photo is all about sharing the photo love! We are very active in the Chicago community of events, our fine city's colorful culture and philanthropy programming. We would love to meet you at any one of these wonderful events that we are a part of! Please check back periodically for updates to our social calendar with many events being added weekly. You may also email us directly for ticketing information and we'd be delighted to have you as our guest! say hello and drop us a line! Love always wins. 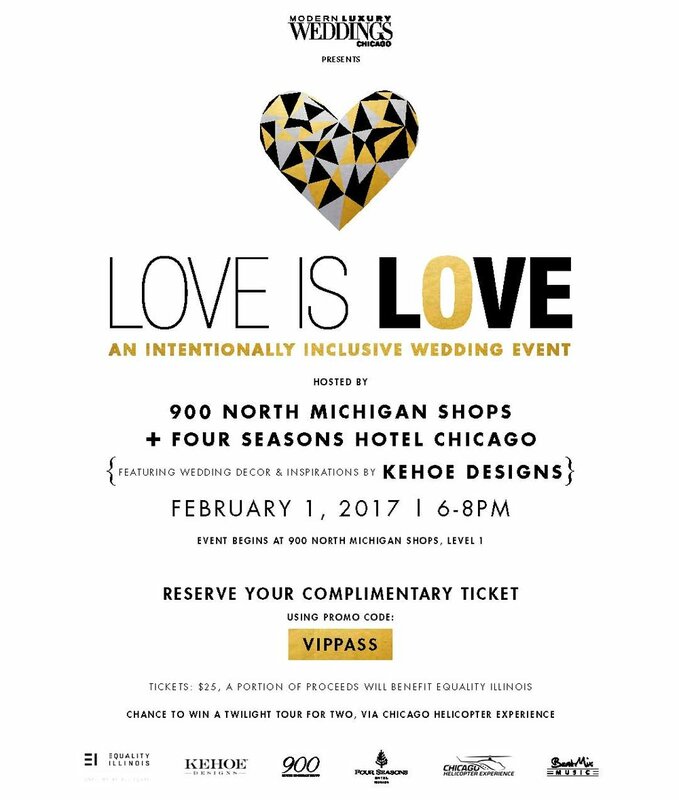 We're excited to be a part of A Love Supreme at @Chicago Athletic Association Hotel – this April, 15 couples of all genders and sexualities within the LGBTQ community are invited to wed the loves of their lives in a large-scale ceremony ordained by fondly regarded community leader and Chicago personality Kristen Kaza. For full details on becoming part of the celebration, please visit chicagoathleticevents.com. Interested couples should contact the hotel at alovesupreme@chicagoathletichotel.com. Have a look at our exciting behind the scenes shoot captured by our video partner, Leap Weddings, at the Chicago Athletic Association. Enjoy this sneak peek at the incredible roster of wedding vendors behind this mass celebration of love. A portion of proceeds will benefit Howard Brown Health, working to eliminate the disparities in LGBTQ healthcare. The support of community partners – @SloMoParty, @RosePhoto.Official, @MarquetteAvenueEvents, @ArtisticBloomsChgo, @LEAPWeddings, @ChicagoAthleticHotel – makes this celebration of unity possible.